Happy Tuesday, friends! Welcome to day 2 of the Winnie & Walter November release! We have been waiting patiently for a new release from W&W, and Shay definitely did not disappoint. You are going to LOVE all this amazing holiday products! 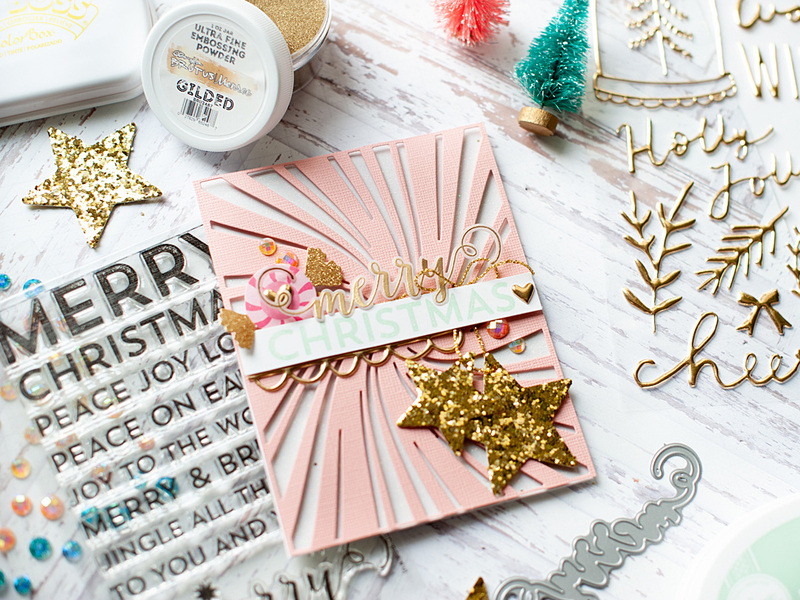 Today I am focusing on the new Peppermint Zone coverplate, which is AMAZING! I love the creative screening, and am so excited to now have a matching diecut! And I also focused on the new In A Word: Grand Merry stamp set with coordinating dies. To start, I diecut the Pappermint Zone coverplate from pink textured Bazzill cardstock that I've had in my stash for quite a long time. Now, I technically think this diecut is meant to cut directly from your card base, but I knew that I wanted to add dimension. So after diecutting it, I just used my trimmer to cut it out in A2 size. Then I placed it to the front of an A2 card covered in white glitter paper. Next I stamped & heat embossed the word merry in gilded embossing powder to some vellum, then cut it out with the coordinating die. Then I stamped the word Christmas to white cardstock in Catherine Pooler Mint To Be ink, and trimmed it into a strip. 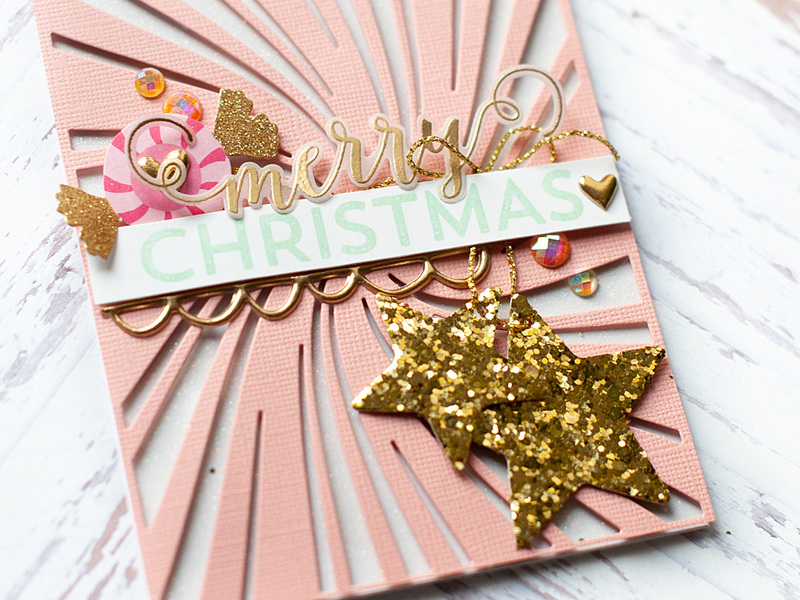 I strung the gold glitter stars with some gold string, then placed "strung" them to the lower corner of the card. To keep the string in place, I mounted the sentiment strip over top of it with foam tape. Then I adhered the word Merry to it with some glue dots. To finish, I tucked a peppermint ephemera piece from Crate Paper's Christmas collection from last year, then accented with some heart puffy stickers in gold. 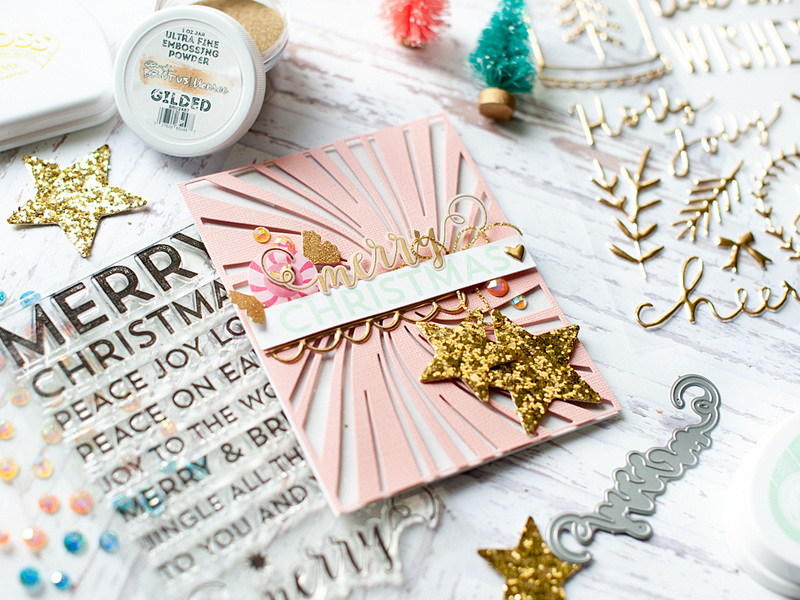 Finally, I accented here & there with some glittery jewels from Prima Marketing. Didn't it turn out so cute?! I hope that you have a wonderful rest of your Tuesday! Lea, your card is far beyond 'cute'...it's gorgeous and classy! 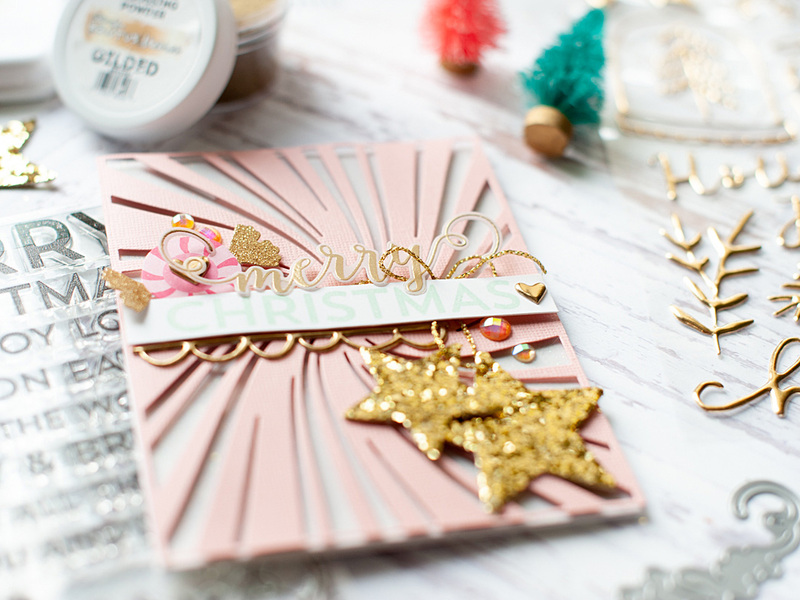 Stunning showcase of the new W&W release, made all the more striking with your fabulous additions of sparkly stars, peppermint ephemera and glittery jewels! Love this! 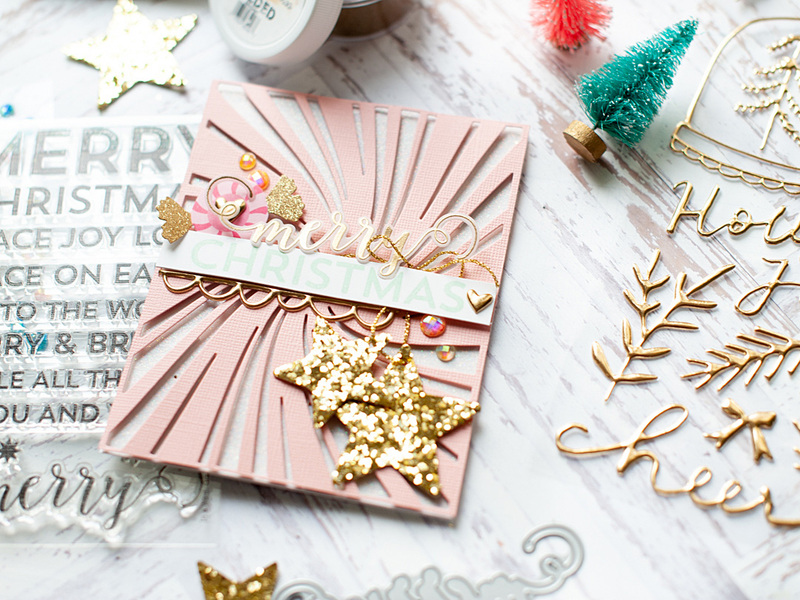 Your card is simply stunning! Thanks for sharing wiht us.